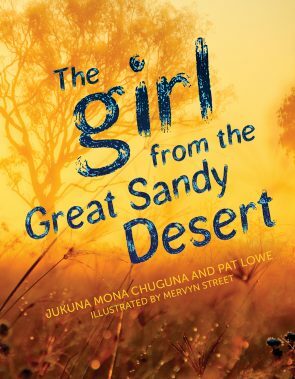 The Girl From the Great Sandy Desert is a first-hand account of growing up in a traditional Indigenous Australian family and community who lived in the Great Sandy Desert of Western Australia. The Walmajarri people lived in the harsh desert environment and as a result of the considerable challenges created by the heat and scarcity of water, they remained largely unaffected by European settlement until many people chose to leave the area. This beautifully written book offers detailed insight into how the inhabitants of the desert existed and thrived in this harsh country, relying on a deep spiritual connection with the land. It is important to establish the intrinsic relationship that the traditional inhabitants of Australia have with the country of their people in order to understand the way of life and customs and practices which may feel unfamiliar and occasionally uncomfortable when considered through modern European viewpoints. In order to establish knowledge and understanding prior to reading The Girl From the Great Sandy Desert, it is important to engage with a variety of texts which focus on the elements which are at the heart of Indigenous values, relationships, customs, way of life and the intimate connection to the area from which they originate. Indigenous Australians live across many Indigenous countries/lands and as such differ in terms of their values, relationships, customs, ways of life and their intimate connection to the area. Display the map of Aboriginal Australia. Locate the area that the Walmajarri people lived: The Great Sandy Desert of North-west Australia. Direct the students to undertake a search for images and information on the Great Sandy Desert in order to establish an understanding of the geographical area and the challenges faced by the inhabitants of this area. An understanding of the climate, flora and fauna and the remoteness of the area is key to establishing prior knowledge before connecting with the text. First look at the images of the area. Use the pre-reading activity sheet (PDF, 100KB). Initially brainstorm this as a class to prompt thinking and rich descriptive vocabulary. Then in pairs ask students to add words associated with the area to the document e.g. harsh, dry, sparse, dunes, sandy, arid. Ask the students to complete the pre-reading sheet, adding details into each section as they undertake their research. Each pair will join with another to create approximately six groups of four students. Place six poster-sized sheets around the room with the six headings on the sheets. Each group rotates and adds details to the sheets. Allow no more than five minutes per sheet. When all the groups have added details to each heading, assign one sheet per group of four to create a poster of the facts to add to a classroom display. Next watch the following clip of Bob Randall discussing the relationship his people have with the land. When guiding a follow up discussion keep in mind that Mutitjulu is a different country to the Great Sandy Desert in terms of people, culture and flora and fauna. It is important to point out to students that the book The Girl From the Great Sandy Desert does not discuss the Stolen Generation. It is a semi-autobiographical account of the traditional way of life followed prior to European influence. To deepen understanding about the Indigenous relationship with the land, read Nyuntu Ninti (What You Should Know) by Bob Randall. This book is intended to introduce readers to the interconnectedness of Indigenous people with the land and their ancestors and the sharing of knowledge from one generation to the next. Using the map, locate the area where your school is. Record the name of the traditional inhabitants of the area and the language group. Read Welcome to Country by Joy Murphy. Also discuss the differences in Indigenous ways of being between the Wurundjeri peoples (in Murphy’s book) and Indigenous groups in the local area. The important point is to appreciate the different identities of these groups. Share a copy of the Acknowledgment of the Traditional Owners which is used in the local area and explain that this statement pays respect to the proud Indigenous history of the area and complex stewardship of the land. Ask the students to complete the Welcome to Country worksheet (PDF, 99KB) to demonstrate an understanding of the purposes and differences of the Acknowledgement of Country and the Welcome to Country statements made at formal gatherings and school assemblies, etc. Using the Think-Pair-Share strategy students read and discuss the reviews of the book. In a reading journal ask students to reflect and record their responses to the resources, books and material they have read. Give them the heading: What We Know. Traditional Indigenous customs, beliefs and practices are based on the geographical region in which they live and the language group to which they belong. Family relationships are of utmost importance to Aboriginal people. Knowledge is passed from one generation to the next through stories, experiences and examples, and this knowledge is critical to survival in each region. Australia has a long history of land stewardship prior to European Settlement. The journal entry can be scaffolded according to the differentiated needs of the learners. Read the book and select at least four or five stories to read aloud to introduce students to this book. Each story includes cultural notes which should always be read in conjunction with the story. These offer important explanations about the life of the Walmajarri people and offer contextual information to support the events which occur in the stories as well as reminding the reader of the cultural and historical context in which the events occur. As you are reading the text, model the Think Aloud strategy to encourage reflection, prediction, clarification and questioning when students read independently. At the conclusion of each story, students will be invited to add a reflection in their reading journal and then the opportunity to discuss and clarify the events of the story. The first two stories make reference to trees. After reading the first three paragraphs of Mana (page 8) tell the students that you have noticed the author has mentioned trees several times. Make an ‘I Wonder’ statement about these references: ‘I wonder why trees are so important to the Walmajarri people?’ Ask the students to note when trees are mentioned. Write the question ‘Why are trees important to the Walmajarri people?’ on a sheet of poster paper. Direct the students to pause and reflect when trees feature in the stories. Record their responses to create a list, for example: shade, food, firewood, making spears and hunting sticks. As the teacher reads each story and set of cultural notes, Think Alouds can be used to formulate questions and look for answers in the text. Why was it important that Mana, the main character of the stories, learned to notice the patterns made by different animals in the sand? Why are lots of the stories about water? Why would the author write about dying of thirst in several of the stories? How do the Walmajarri people deal with death in the stories? Why are dogs so important to the people in the stories? Refer to this reference on the importance of dogs in traditional Indigenous communities. Think Alouds can be used to model research into questions raised by the students during discussion. How is Mana’s childhood similar to mine? How is it different? Students can record their Think Aloud responses in their reading journal as each story is read to raise topics for discussion and further research. Because of the harsh nature of the desert environment, the Walmajarri people lived a traditional life largely unchanged by European settlement. The desert environment meant water was scarce and food was sourced from the land through hunting and the collection and preparation of staple plant-based foods. Many of the stories refer to the collection and sourcing of food and water, without which survival was impossible. As a class, discuss what she meant and draw out the conclusion that she was protected by her knowledge of the country which gave her protection, food, water and the skill to find her way home. This essential wisdom is taught to children from their birth. Either individually or as a class, complete this worksheet (PDF, 254KB). Read You and Me, Murrawee by Kerri Hashmi. This book compares the experiences of a young girl, camping with her family, with the life of an Aboriginal girl of a similar age who lived in the area 200 years ago. Create a Venn diagram of how their experiences were different and similar or use this worksheet (PDF, 198KB). Discuss how it feels to be hungry and thirsty and record student responses to display for reference. Ask students: what do you do when you are hungry or thirsty? Record responses. There are 20 stories in The Girl from the Great Sandy Desert. Read all the stories carefully before assigning some to a student or pairs of students. Some stories/topics you may prefer to leave for another time once students’ knowledge has developed. Invite students/pairs to read the story allocated to them and note each reference to sourcing food or water in their reading journals. This can be recorded in a table. Food or Water: Name the food or water source Facts: How was it collected? Create a class wiki to use as a collaborative workspace to record and share information and responses to the book. Next place the students in teams of four to share before collaboratively creating a page to record the information about sourcing food and water from the story they read. Each student will have an access code to allow them to work in the wiki classroom. Many of the stories are about being thirsty in the desert. Invite the students to imagine they are a Walmajarri child who is hungry and thirsty. Using the ideas and information collected from The Girl from the Great Sandy Desert and the picture books, The Lost Girl and You and Me, Murrawee, students write a journal entry which can be added to the class wiki. Task: From a personal point of view, write a journal entry describing how you would find and prepare food and water. Write this in the first person as a diary entry. The child’s feelings about how it feels to be thirsty in the desert. How the child finds food and prepares it. How the child learned how to find food and water. Include a comment which expresses feelings about how this compares with the student’s access to food and water. Before asking students to complete the task discuss the appropriate language that might be used in expressing a personal viewpoint. The Girl from the Great Sandy Desert is a series of short stories told in the third person. It is written by Jakuna Mona Chuguna and Pat Lowe. The stories have been adapted for the book and written in English with the inclusion of a glossary of Walmajarri terms and a pronunciation guide. There are cultural notes, added as text boxes to give additional information to the reader about the events, customs and important elements of the stories. Discuss how these texts vary in structure and purpose and talk about what type of text this is and how it is structured. Read the introductory page: The Walmajarri People. Draw attention to the fact that Walmajarri is a language and the Walmajarri people are a group of people who speak the same dialect. Explain that there are many dialects spoken by the people of the Great Sandy Desert. Begin by reading the blurb and focus in on: ‘In this charming collection of stories…’ Pause and discuss the word ‘stories’ and how it is understood. Encourage students to think about this in the next activity and to note how ‘story’ is used. Read the Introduction on pages 1–5 and About the Creators on pages 95–96. Reread the final paragraph of page four and the following paragraph on page five. Why were the names of the characters changed? Why would the average reader not have the knowledge to understand the stories without further explanation? Why might the authors choose to structure the book using stories (recounts) and information boxes? Read the story ‘What are kartiya like?’ on page 21 followed by the information box. Scan these and display on the whiteboard. Model adding annotations to identify language structures and features of the contrasting text types including the recount and the information box. Examine the language structures in several examples, asking students to annotate their observations to compare the writing style used and identify the key features of each text type. Establish that art, songs and stories were used to record important information and pass it on through generations. Traditional art is a historic record, a form of storytelling, used for teaching and passing on important knowledge and a mapping tool. Jukuna Mona Chuguna is a celebrated artist as well as an author and her paintings are an additional record of the desert way of life. Display her artwork on the whiteboard. This resource shows a variety of Aboriginal art and an explanation of commonly used symbols. Display this and discuss with the students. Ask if they can identify any of the symbols in Jukuna Mona Chuguna’s work. For further information to build teacher knowledge this is a helpful resource. Read the pronunciation guide and the Walmajarri glossary. Why have the authors chosen to include Walmajarri words? How does that add to the text? Ask the students to locate the Walmajarri words in the stories and look them up in the glossary. Create a word wall of English/Walmajarri words. Illustrate these using a symbol in the style of an Indigenous artwork. Write a poem or a description on one of the following subjects. Explore examples of many traditional forms of poetry and select a form. The importance of water in the desert. Collecting and hunting for food in the desert. The writing should be accompanied by an illustration which complements the story using common symbols. It should also include a text box which offers an explanation of the theme/concepts and language chosen by the student, written in the style of the cultural notes in the book. Choose one of the stories which you have enjoyed. Model writing a reflection which explains why you have made this choice and justify your selection using references from the story. Demonstrate adding this to the wiki in order to create a class record of the opinions and reflections. At the conclusion of the book, following the reading, reflection and discussion about the content of each story, direct students to choose the one which they enjoyed the most. Using the wiki, each student is to add a comment which reflects their opinion and justifies their choice. Direct the students to summarise the essential elements of their chosen story using a story map. Each story in The Girl from the Great Sandy Desert includes one charcoal drawing to accompany the text. Ask the children if they think that this classifies the book as a picture book. Read Look See, Look at Me by Leonie Norrington with illustrations by Dee Huxley, first without showing the pictures to the students. Reread the text and show the students the illustrations. Discuss how the illustrator adds a great deal of information to the story. After reading each page, ask the students what they think is happening, what the characters are thinking and doing. Offer a range of picture story books, including the picture books referenced in this unit and books, such as Dreamtime stories, which include Indigenous Australian themes. Ask students to read the book in groups of two or three. Ask the group to choose a page of the book and write annotations about the additional elements of the story told through the illustrations. Annotations can be added using sticky notes. Each group should be given the opportunity to briefly share their chosen page and describe the inferences they have drawn from the pictures about the events on the page. Give each student a copy of this passage. Invite the students to create an illustration which could accompany this text. They need to decide what details they can show through the illustration and rewrite the text in their own words. Students are to write a story inspired by the topic of their favourite story and publish it in the form of a picture story book. 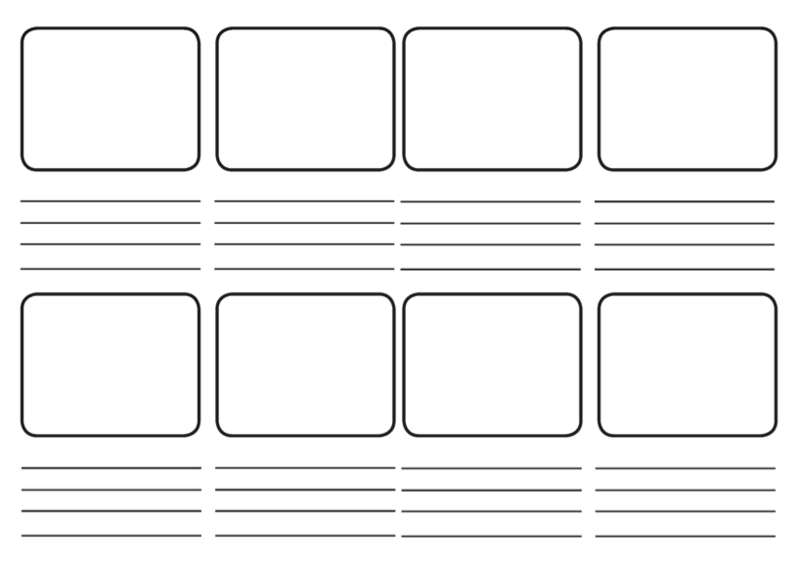 Create a plan with rough sketches using a story board template. The story should be told in the student’s own words, supported by illustrations. The illustrations and story should include all the key ideas, characters and events of the chosen story. The completed picture book should contain 5–8 illustrations with accompanying text. The completed picture book can be scanned and compiled as a powerpoint. These can be uploaded into the class wiki. YouTube: Bob Randall, a Yankunytjatjara elder and traditional owner of Uluru, explains how the connectedness of every living thing to every other living thing is not just an idea but a way of living. Growing Up in the Desert: Stories told with leaves (DVD): This DVD is a rare video recording of an ancient method of storytelling, and a first-hand account of life in the Great Sandy Desert before contact with white people. The stories were recorded in the bed of the Fitzroy River in 1989-1990. They are told in Walmajarri with English subtitles. KAY CHAFFEY is a teacher/librarian at Girraween Primary School. She is passionate about childrens’ literature, in particular the use of picture books to enrich student wellbeing, enquiry and literacy and ensuring both students and classroom teachers can access quality books for learning and enjoyment. She lived on a remote cattle station in the Kimberley region of Western Australia before moving to the Northern Territory.